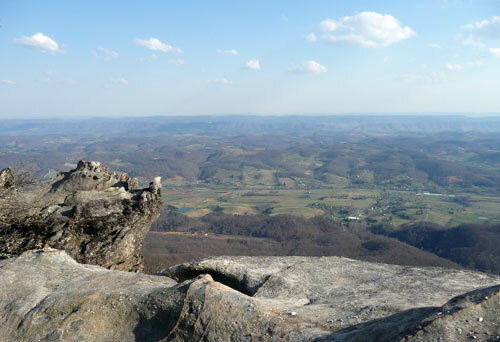 Appalachia & Beyond: It's Friday!! Giveaway Roundup Time is Here! It's Friday once again and we all know what that means. Time for the latest and greatest in outdoor gear giveaways and contests. Boy have we got some good ones for you and a couple to remind you of that are about to end soon. Anyway, before we get to the giveaways, we just wanted to mention a new feature on the blog and another one that we are working on thanks to a comment from one of our readers, Courtney. If you check out the Featured Parks page, we now have a map at the top that shows the location for every park we have featured thus far. As we continue to feature more parks we will add them to the map. Additionally, we are working on a map to go along with the Trail Reports page marking the locations of all the trailheads and other various points that go along with the trails listed on the Trail Reports page. We hope this is something that will help everyone in deciding and finding where to go when you want to get out for a hike. Let us know what you think. Okay, now that that's out of the way let's get down to the business of trying to win some stuff shall we? The first giveaway in the round up is over at Hiking Boots News. They are currently offering a chance to win a sweet pair of Hi-Tec Cascadia boots (MFRP $190). We aren't sure how long this contest will go on for or when they will choose a winner as the post mentioning the giveaway doesn't say. So don't delay and get on over there to find out what to do to win. Hint... You'll need a Twitter account. 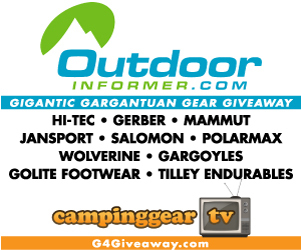 As you know, Outdoor Informer has their huge G4 giveaway going on until the end of the month with Camping Gear TV, but just this morning they unveiled their giveaway for September. A sweet watch and pair of approach shoes. Up for grabs in September will be a Suunto M5 watch and a pair of Salewa Firetrail GTX Trail and Approach shoes. That's quite a nice little package if you ask us. Anyway you'll be able to enter once a day through the month of September for this prize pack so what are you waiting for? Eastern Mountain Sports' Facebook Page. They are giving away from great giftcards, tickets to Nor'easter and one lucky person will win a sweet tent (an EMS Sugar Shack 3). All you have to do is sign up for the first prize. For a shot at the bonus prizes you just have to refer 5 friends to Eastern Mountain Sports on Facebook. You have until August 31 at 11:59pm (EST) to get entered. So head on over and sign up before it's too late. While you are at it, they've also got a great 30% off EMS Brand Camping and Travel gear sale going on, too. 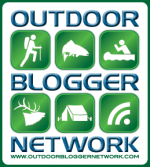 Finally, the fine folks (Rebecca and Joe) over at the Outdoor Blogger Network have seemed to settle down a bit from their moving (Joe) and wanderlust (Rebecca) and have gotten back to the normal pattern we expect from the OBN. So this weekend, they have the Gear Review Opportunity up and it's geared to the fishing crowd with two different packs from Glacier. They have a front pack and a back pack which would make any fly fisher happy to have. Of course you have to be a blogger, have your blog listed in the OBN directory and then comment on the GRO post in hopes that the RNG will pick you as the winner. Head on over now and get in for this one, you have until Sunday at 5pm (MST).. So that's it for all the new stuff being given away. I'm sure there are probably more out there, but I haven't seen them or just haven't looked hard enough. If you know of any please feel free to leave them in the comments section. 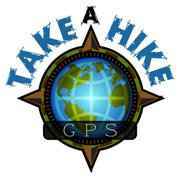 Before we end this, don't forget that Take A Hike GPS is giving away a Garmin Dakota 10 at the end of September. All you have to do is mass enough points to win. While you are their don't forget to check out their GPS Rental Service. This is a great way to test out and try some sweet GPS units before you buy them.